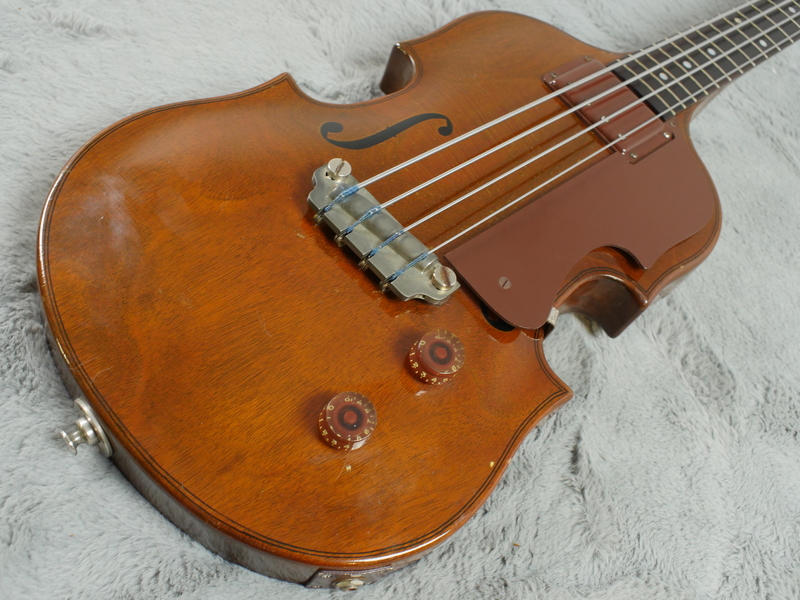 A rare find in this condition, especially with its additional stick piece, this 1953 Gibson EB-1 is certainly a big piece of bass history. 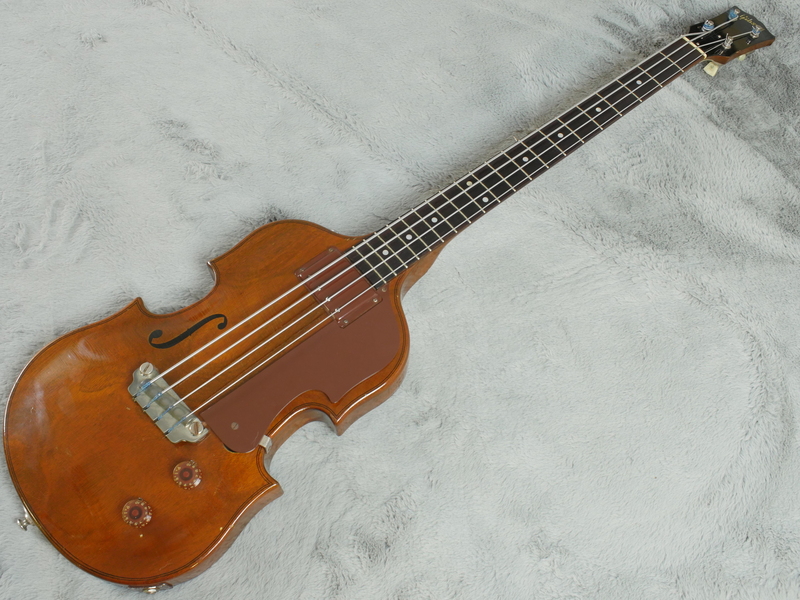 Hot on the heels of Fender, Gibson released the EB-1 (originally simply called ‘Electric Bass’) with a view to appealing to the upright bass player. 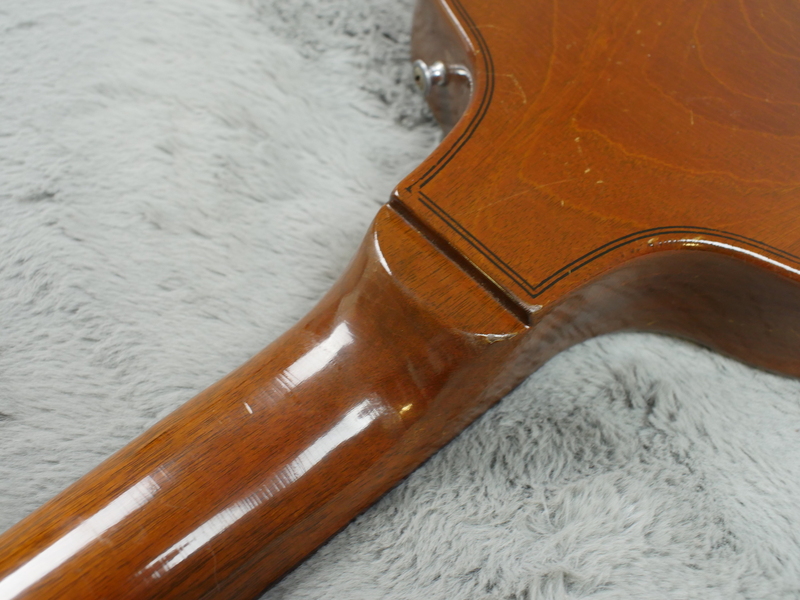 This is reflected in the design featuring an elegantly carved mahogany body, false ‘f’holes and purfling. 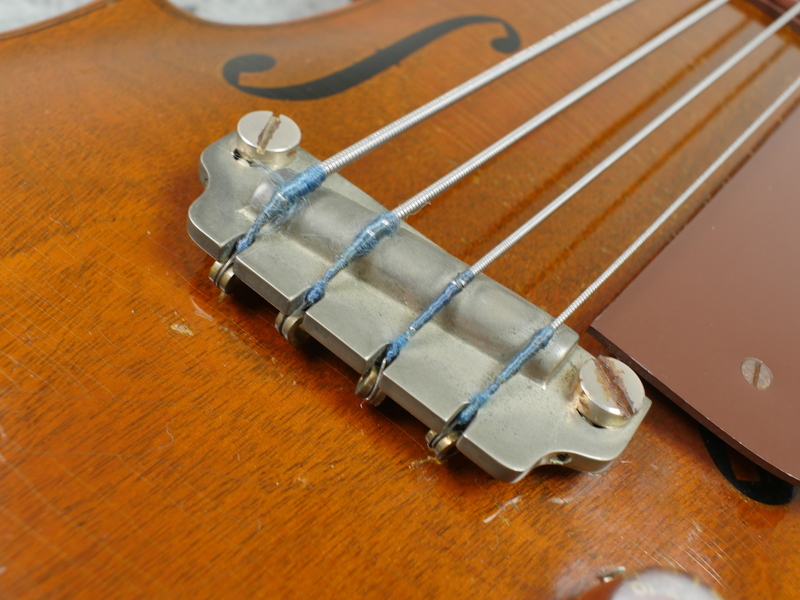 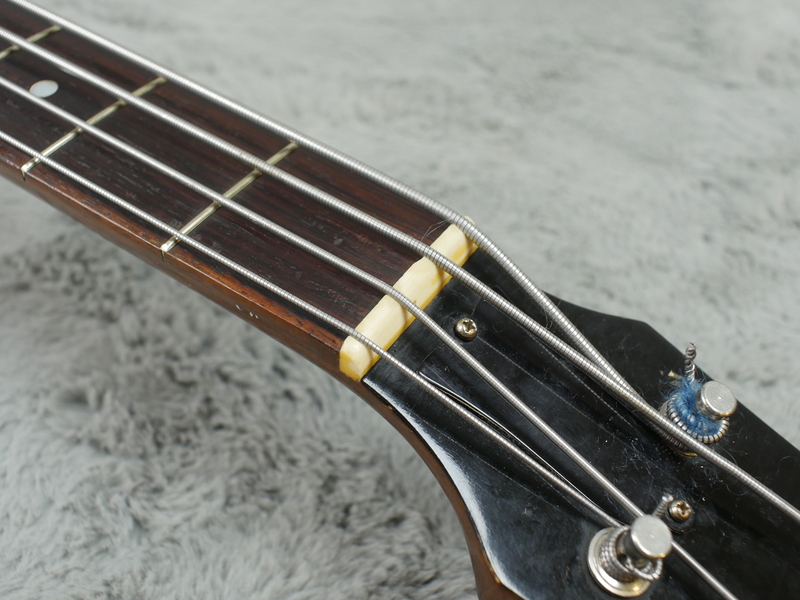 The addition of the height adjustable pole meant that the bass could be played upright or on a strap, the pole screwed into the end pin. 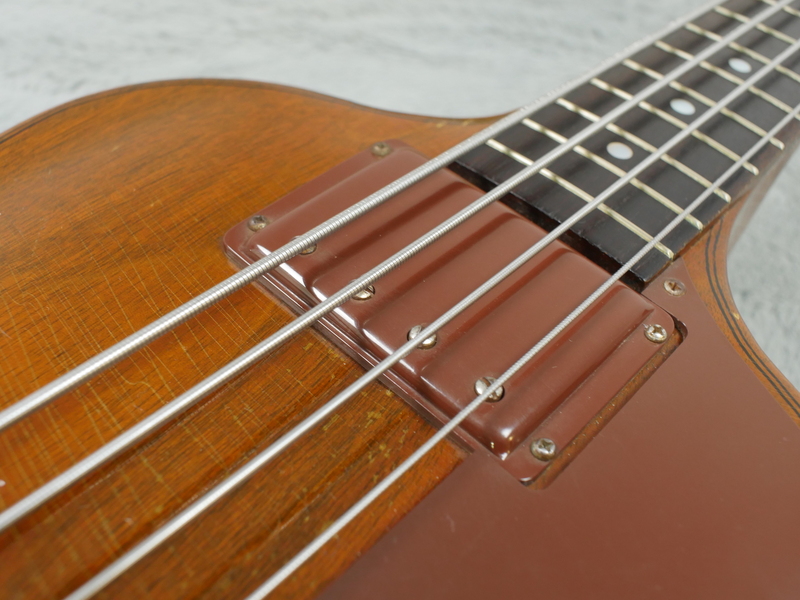 The single coil pickup, wound onto a steel core with the alnico magnet at one end and the adjustable pole pieces at the other, was placed near the neck for a rounder tone and set the precedent for the Gibson bass. 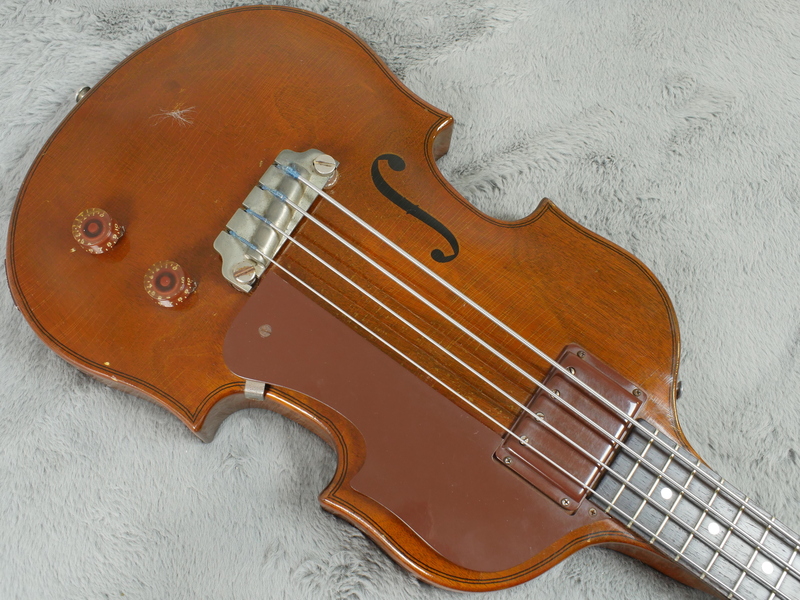 Originally only produced between 1953 and 58, replaced by the EB-2, the bass found favour with players such as Felix Pappalardi of Mountain following the bass’ reissue in the late 60s. 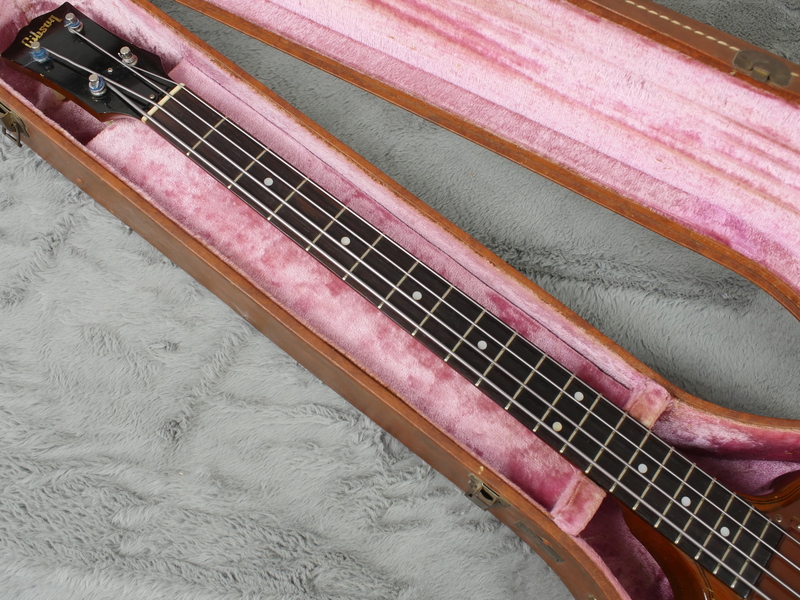 This bass is a fantastic example, escaping the fate of many of these instruments over the years. 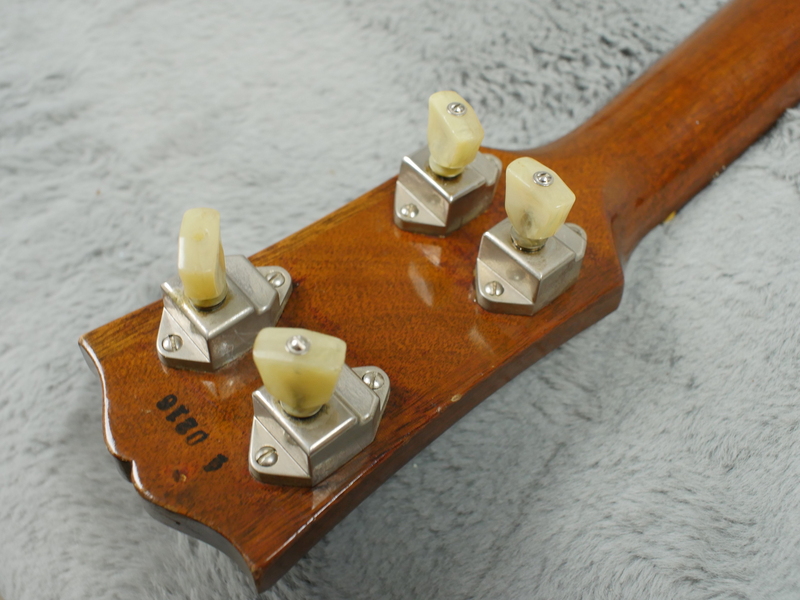 Issues such as a broken headstock, modification and the loss of the pole are quite common which is a shame as only 550 where produced. 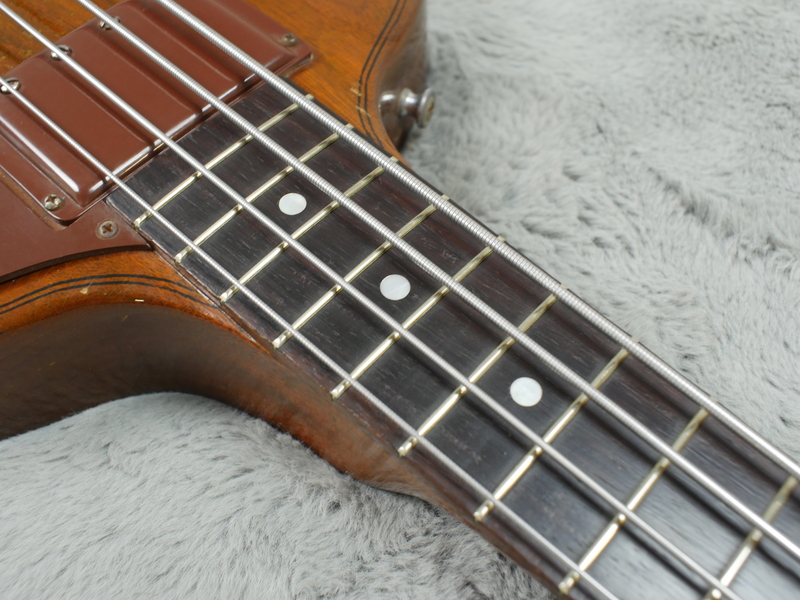 The solid mahogany body and neck certainly give the bass a hefty presence, even with the diminutive size of the body. 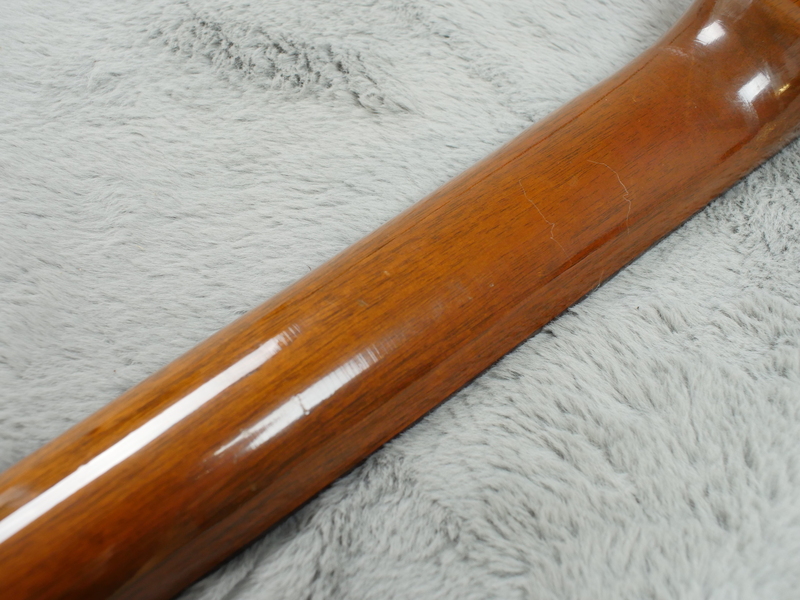 The grain of the wood is king here, accentuated by the carve of the top. 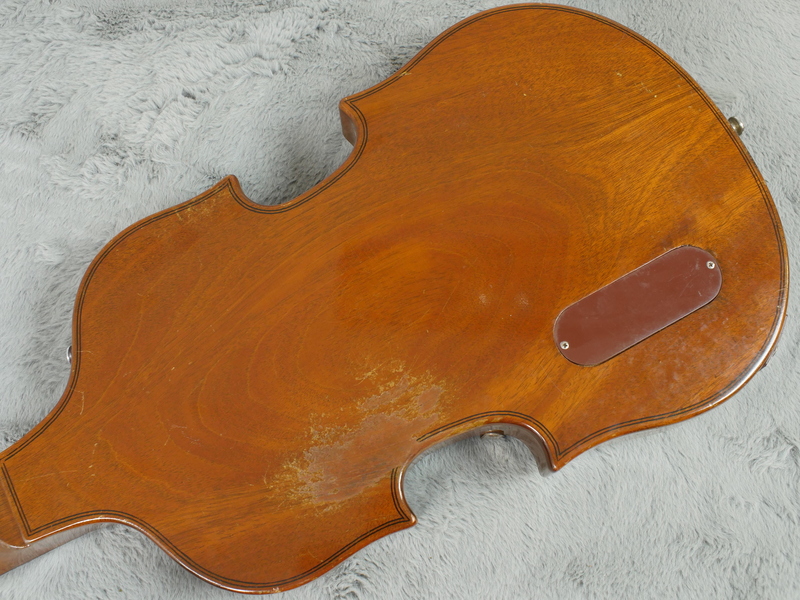 The painted ‘f’ holes are both in good shape as is the purfling around the edge, a strong feature on the back as well. 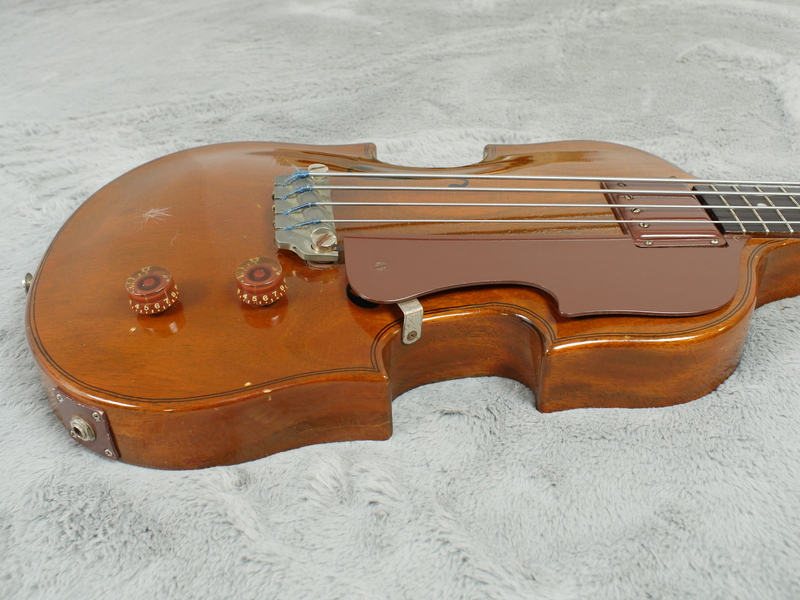 The Bakelite pickup cover, pick guard and jack plate are all superb. 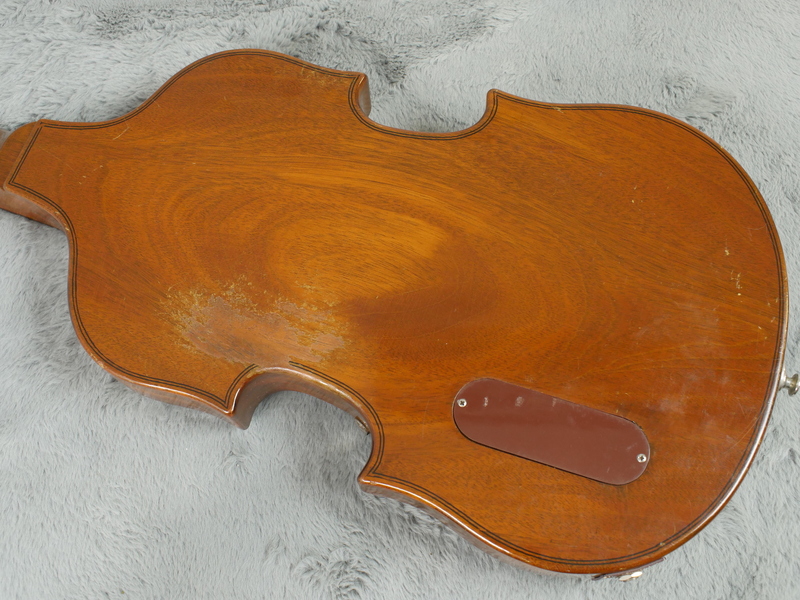 The top does have some light checking and there is some wear to the back. 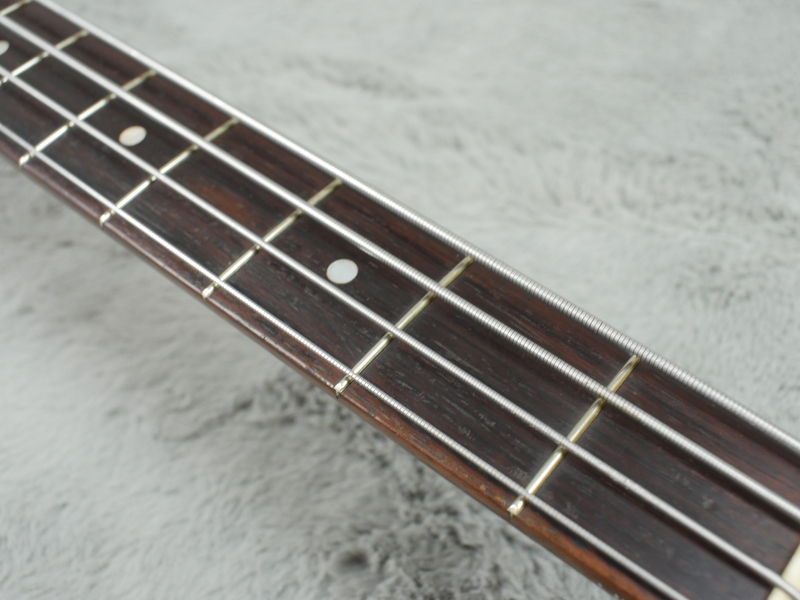 The neck is definitely designed to feel familiar to an upright bass player, quite chunky without feeling too big. 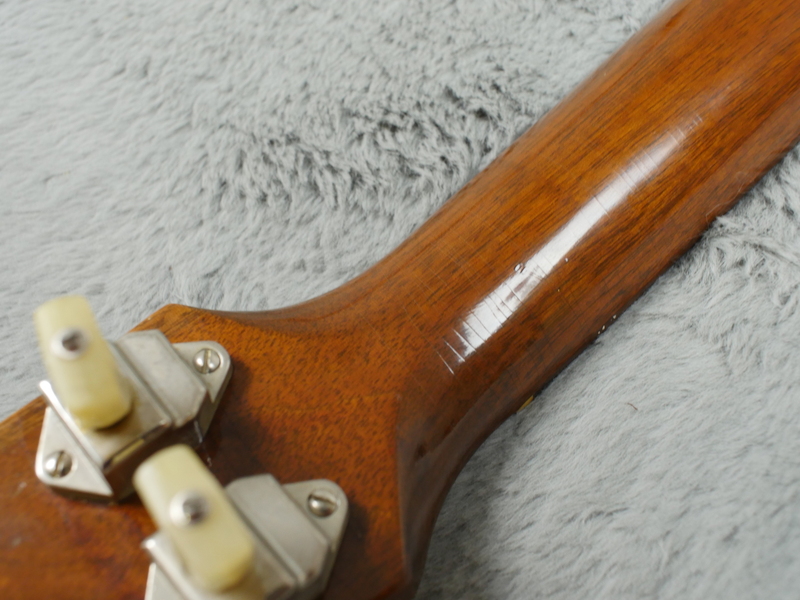 The fretboard and frets are in great shape as is the back of the neck where the lacquer is still glossy. 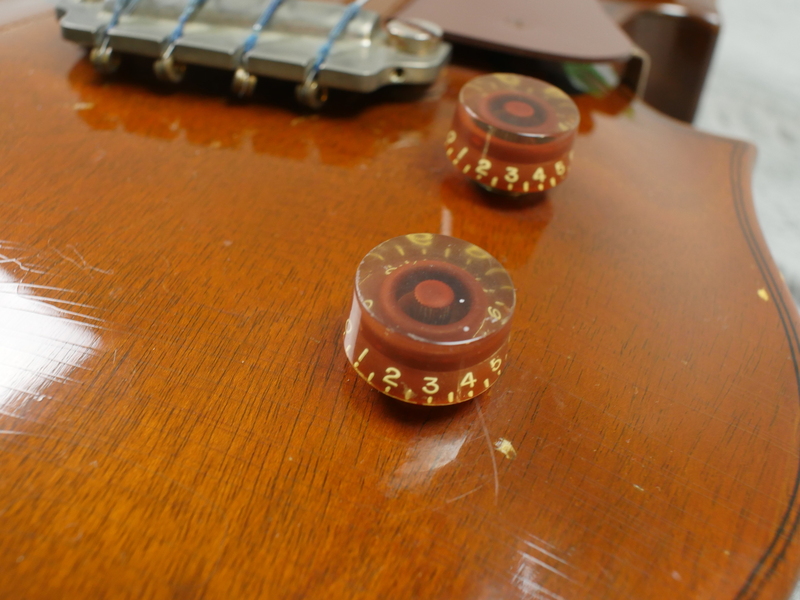 The Kluson banjo tuners work well and the headstock has stayed free of any major dinks. 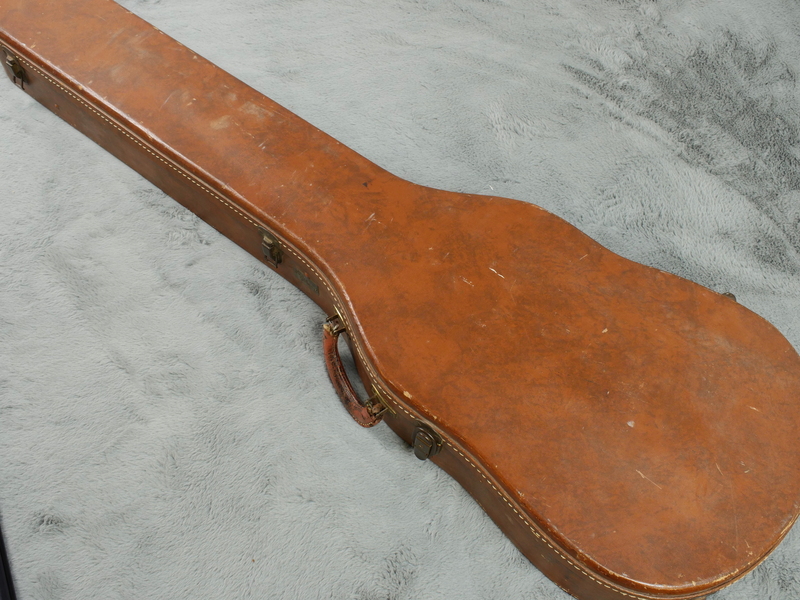 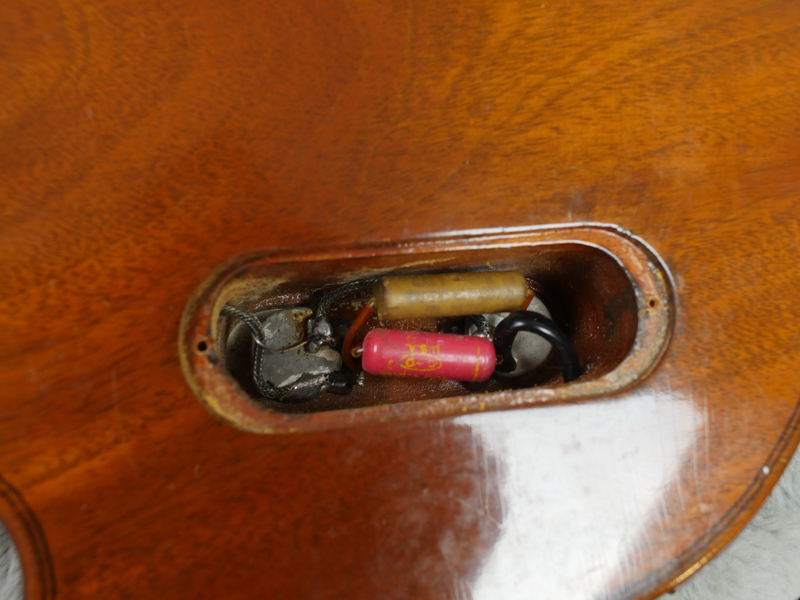 The guitar comes with an original Lifton 4 latch case AND amazingly its original black screw in upright stand (see pictures). 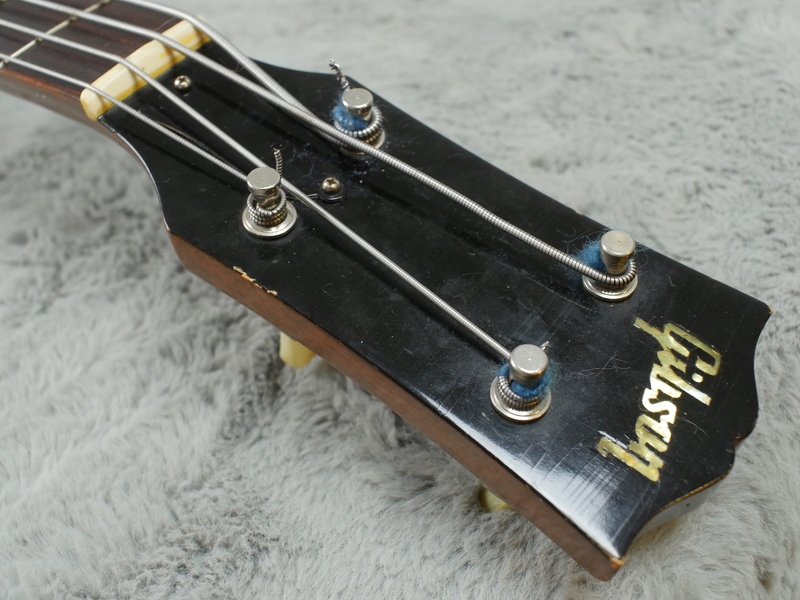 If you can find one of these they usually either have had a headstock repair, a missing ‘stick’ or both. 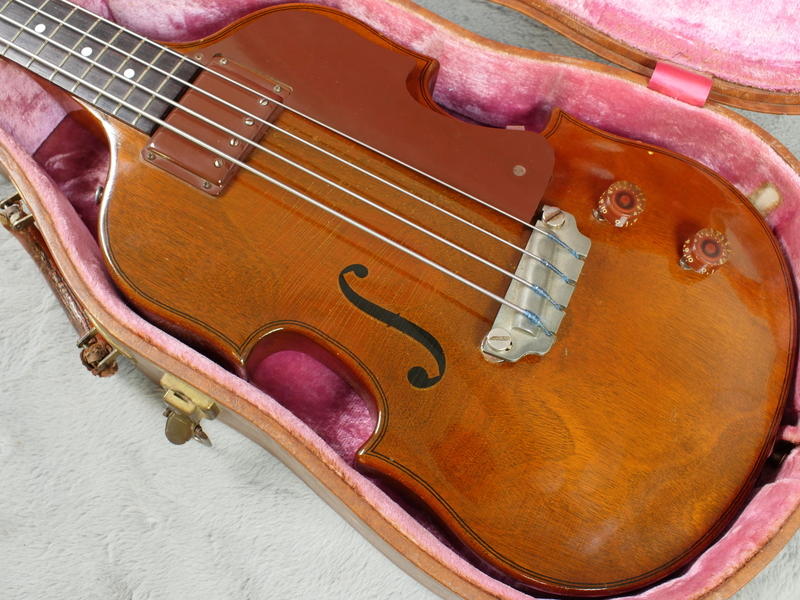 It is a rare and good day when you come across a fine example like this with none of the usual problems these have suffered. 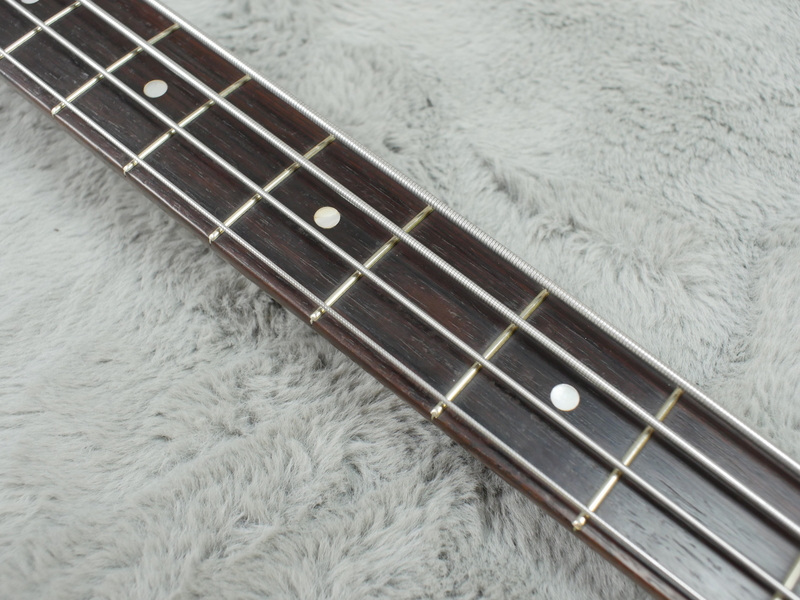 The bass has a warm sound that is not as woolly as you’d expect from a Gibson bass. 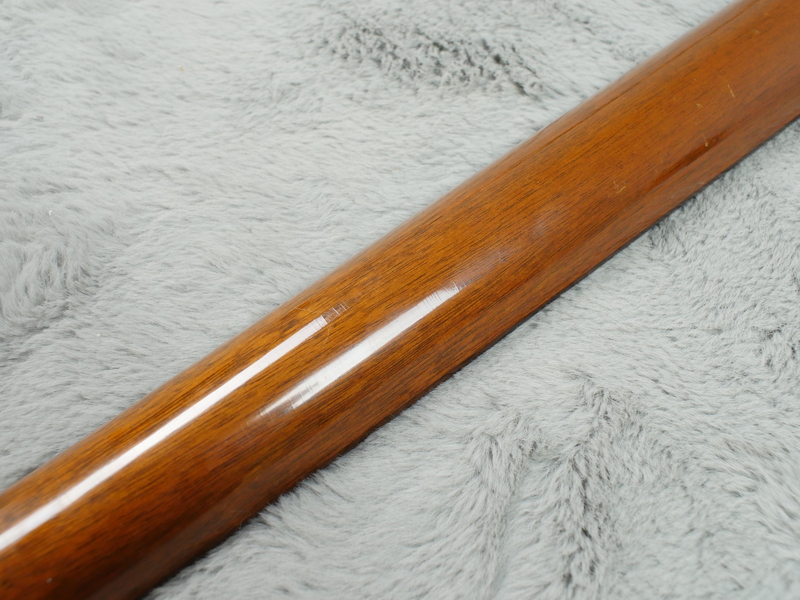 The solid mahogany construction has a fantastic resonance that gives you a powerful sound when amplified. 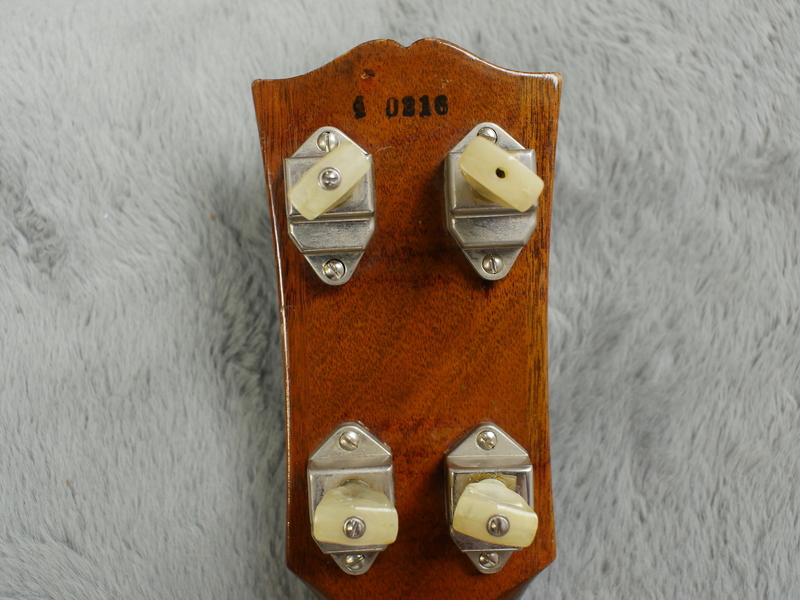 The tone control has been designed so that when turned down it removes more of the mid-range from the signal, retaining some of the higher frequencies and thus not loosing as much presence. 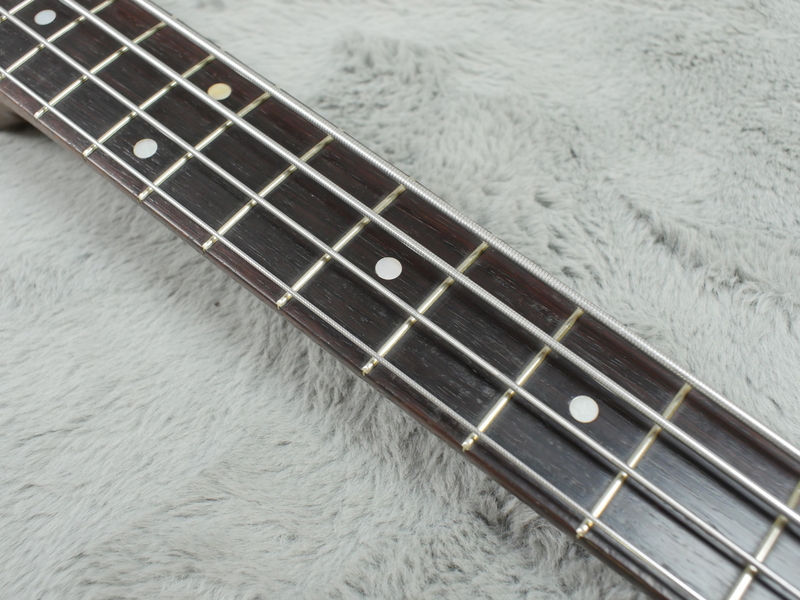 Playing the bass upright is fun though needs getting used to. 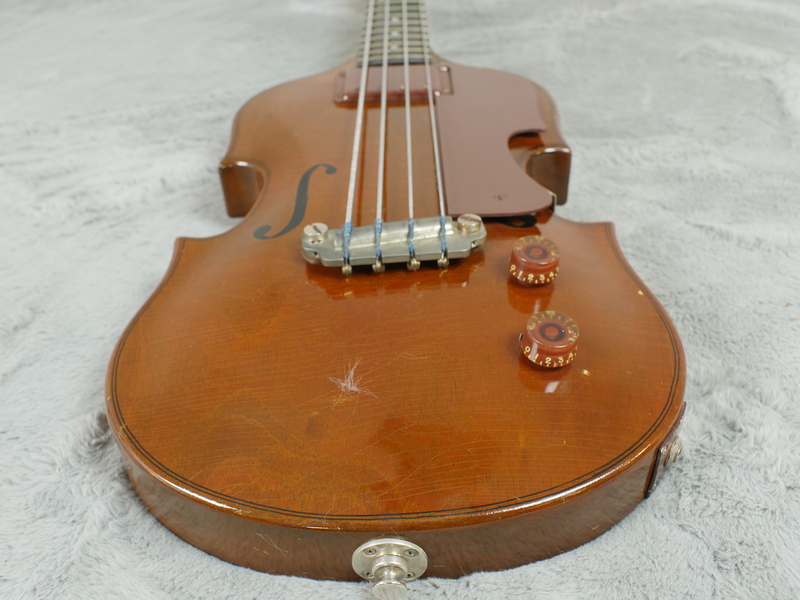 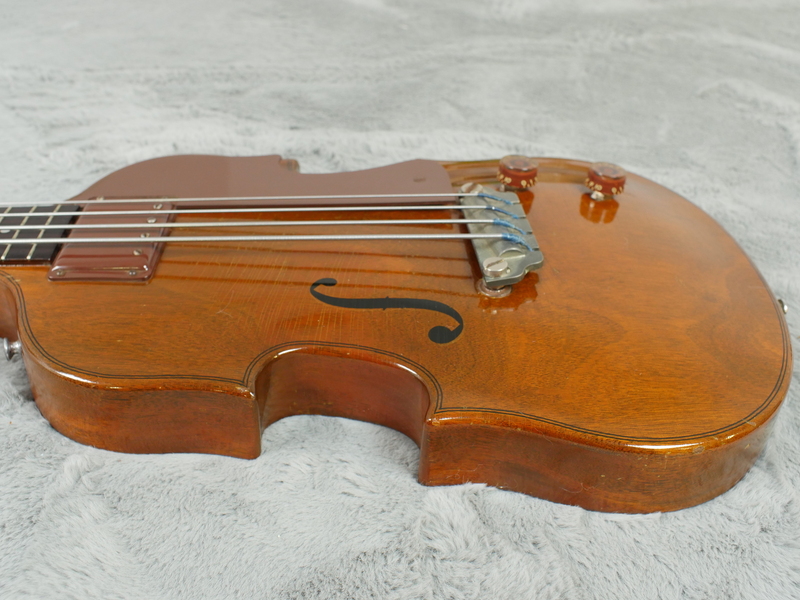 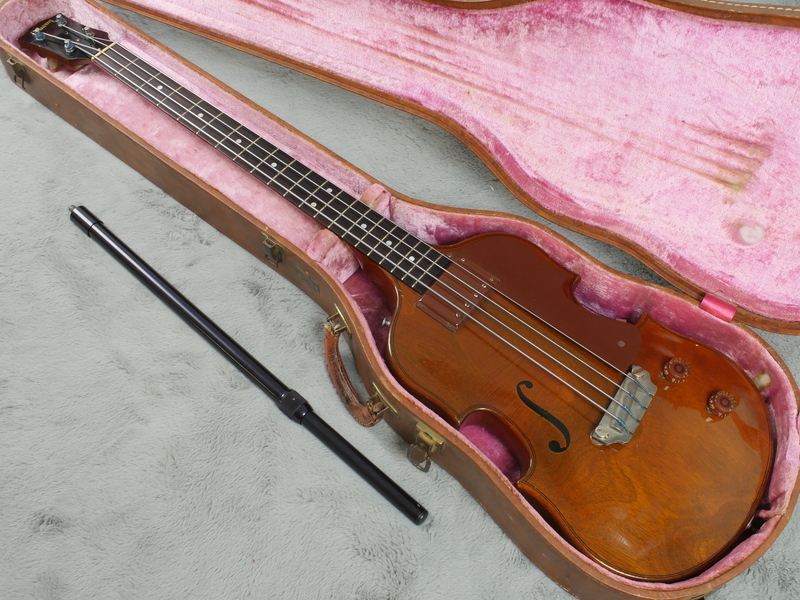 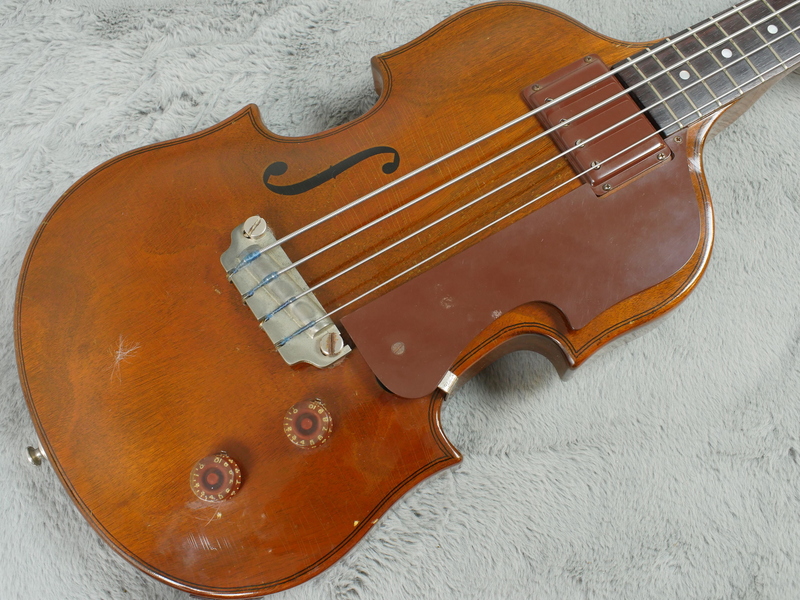 Certainly a unique design from a searching age for the electric bass, this rare find is a superb example and well worth a reevaluation by any connoisseur of the low register.